A Place Called Kindergarten: Hooray For the 100th Day!! We had a great 100th day of school today. We wrote about what we would buy with $100. counting by 10s to 100 on. to reveal a surprise 100! We drew pictures of ourselves today and in 100 years. The inspiration for this activity came from Teach Kids Art. We read lots of books about 100. 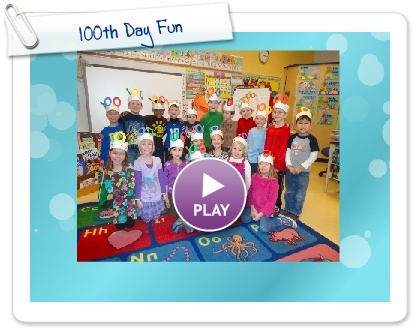 Check out our Smilebox full of 100th Day fun!! I found large $100 bills at dollar tree. They were 30 for one dollar!